Bachelor of Engineering (Civil and Structural), Registered Professional Engineer in Queensland (RPEQ 2246), Member Institution of Engineers Australia, National Professional Engineers Register – Chartered Professional Engineer (117532). Post Graduate studies in Property Investment and Analysis, Securities, Financial Analysis, Entrepreneurship, and Real Estate Practices. Six and a half years experience with a major Australian Stock Exchange listed Property Development Company as Queensland Development Manager, Project Manager and Construction Manager. Twenty years experience in the Design, Approvals, and Construction Delivery Management of Residential, Commercial and Industrial, Building and Land Development Projects. Ten years experience as proprietor of a multi-disciplinary (Civil, Structural, Mechanical, Hydraulic, and Fire) Consulting Engineering, Architectural, and Town Planning Practice involved in Building and Land Developments. Ten years with a major Australian Consulting Engineering and Project Management Practice as Structural Engineer, Project Manager, and Regional Manager in Brisbane, Sunshine Coast, Gold Coast, Bundaberg, Hervey Bay, Mackay, Cairns, and Port Douglas. Six and a half years commercial and industrial building construction experience utilising the services of Foreman, Contract Administrators and Sub-contractors. 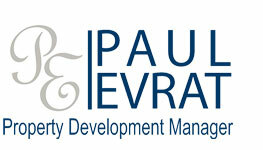 Two years experience as Contracts Manager for a technical services and installation company. Note : Some years are concurrent. More details available on request.